Pakistan Foreign Minister Shah Mahmood Qureshi on Saturday said nobody can browbeat the country for the brutal Pulwama terror attack even as he offered to fully cooperate in any probe into the incident if India shares any evidence with it. 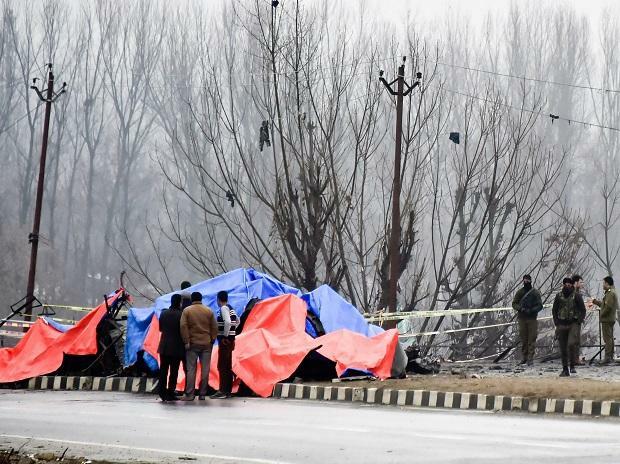 Forty CRPF personnel were killed and five others critically injured when a suicide bomber rammed a vehicle laden with explosives into their bus in Jammu and Kashmir's Pulwama district on Thursday. The Pakistan-based terror group Jaish-e-Mohammed (JeM) has claimed responsibility for the attack on the convoy of 78 vehicles that was on its way from Jammu to Srinagar. Qureshi, in a recorded a video message from Germany where he is attending the Munich Security Conference, claimed that India, without investigation, in a knee-jerk reaction, blamed Pakistan for the attack.